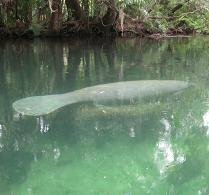 The Naples Daily News reports that a settlement in a lawsuit by the Center for Biological Diversity and the Turtle Island Restoration Network will require the U.S. Fish and Wildlife Service to issue new stock assessments for marine species. The suit alleged that the USFWS and Department of Interior failed to meet deadlines for the assessments. According to the article the manattee assessment has not be updated since 1995.